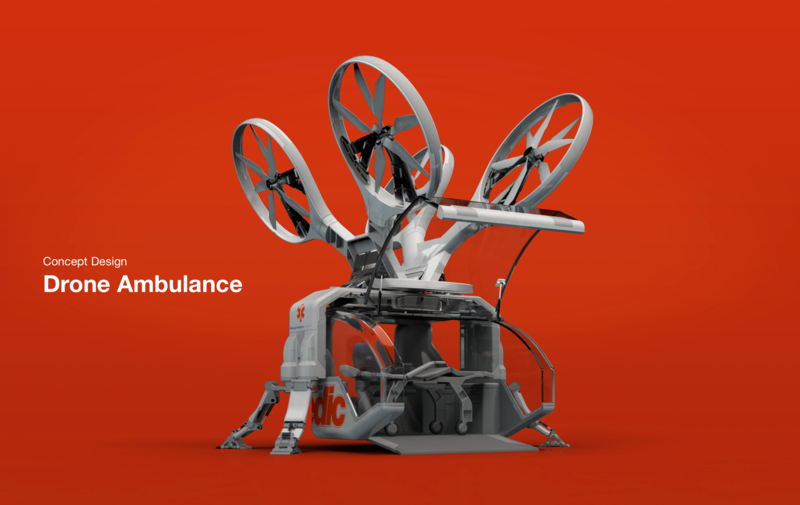 argodesign - work - This Drone Ambulance Is Totally Wild, And Totally Inevitable. In an emergency, seconds count. An estimated 1,000 "saveable" lives are lost a year because of slow emergency response in the nation’s biggest cities. 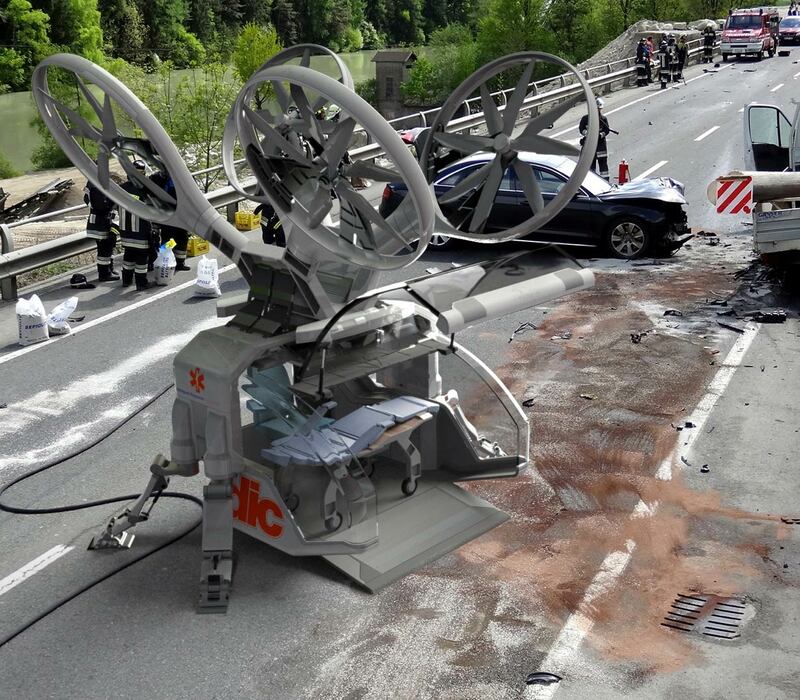 But in traffic-jammed urban environments, how can a four-wheeled ambulance be expected to make it anywhere and back quickly? The idea was born from a team brainstorming session around how health care could become more accessible. 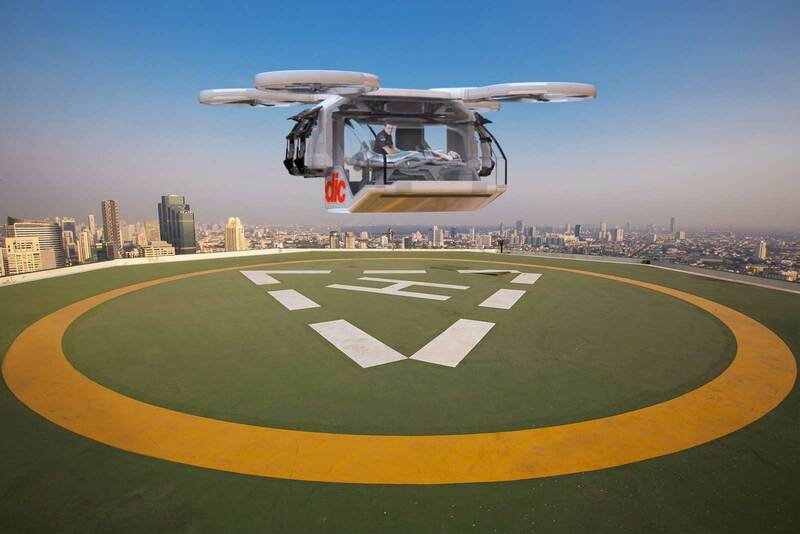 A single pilot who would usually fly a single helicopter could manage a whole fleet of drone ambulances remotely, relying on autopilot through the skies, and taking over manual controls only during more complicated takeoffs and landings. 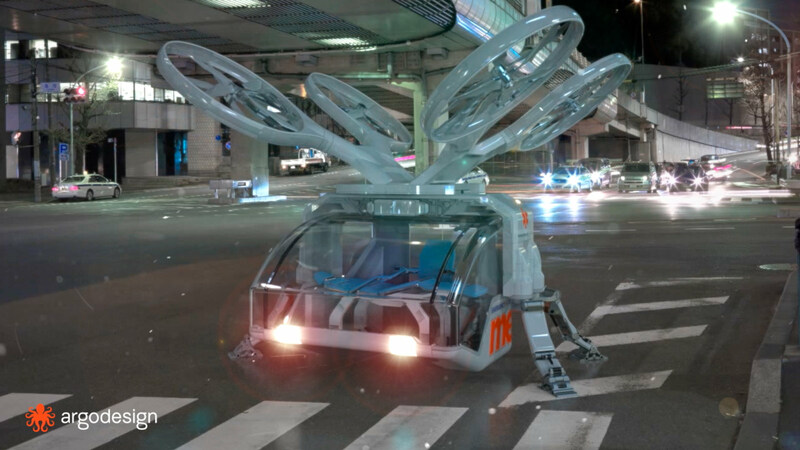 There’s also the issue of price: Rolston believes an ultralight drone could be constructed in the million dollar range. That's several times more expensive than a wheeled ambulance, but still cheaper than a medical helicopter. Drones exist, they are getting better by the day, and they're about to take over our skies (some day). Autonomous drivers will be on our streets within the next year. Why not fuse these two ideas?